McKechnie Room (Room 109) is one of the areas where workshops are held in the Woodward Library. Location: The McKechnie Room in the Woodward Library is located beside the information desk on the main floor of the library. Enter the Woodward Library (2198 Health Sciences Mall) ** Note, to get to the Woodward Library you will need to enter the Woodward Instructional Resources Centre building (2194 Health Sciences Mall) and proceed up the stairs or the wheelchair ramp (or lift) to the split level to the library entrance. Enter the McKechnie room door on the left-hand side. 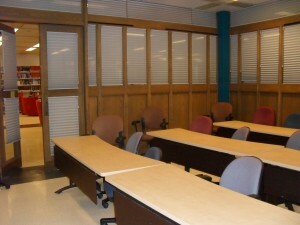 The Woodward Library basement teaching lab is one of the areas where workshops are held. 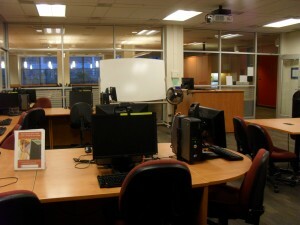 Location: The teaching lab (room B25) in the Woodward Library is located in the library basement beside the open computer study area. Once you get into the Library turn right and proceed down the stairs to the basement level. There is also basement access via elevator, which is straight-ahead and past the information desk and middle stairwell on the main floor. If accessing by stairs go straight through the double-doors and turn left past the photocopier and vending machines and enter the computer lab room. If accessing by elevator, enter the main study area of the basement level then turn right and then go straight forward. 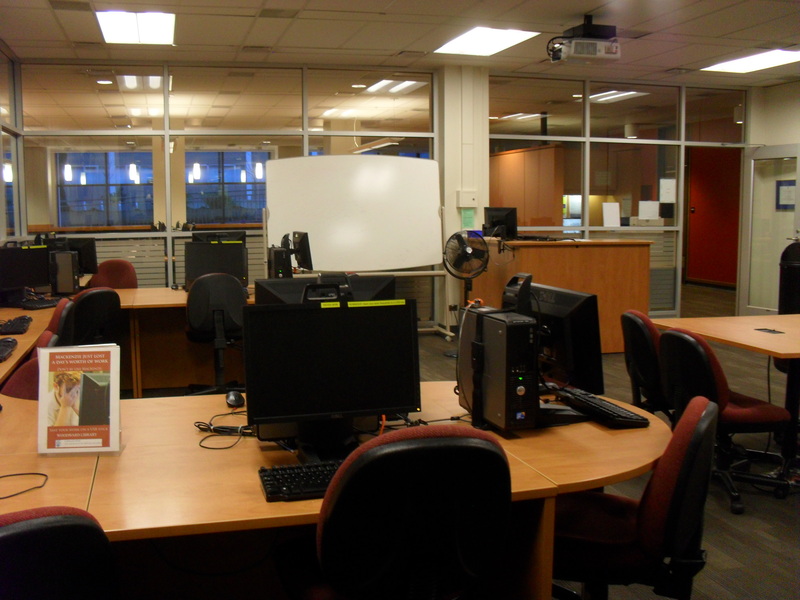 The teaching lab is before the washrooms and across from the public printing station.